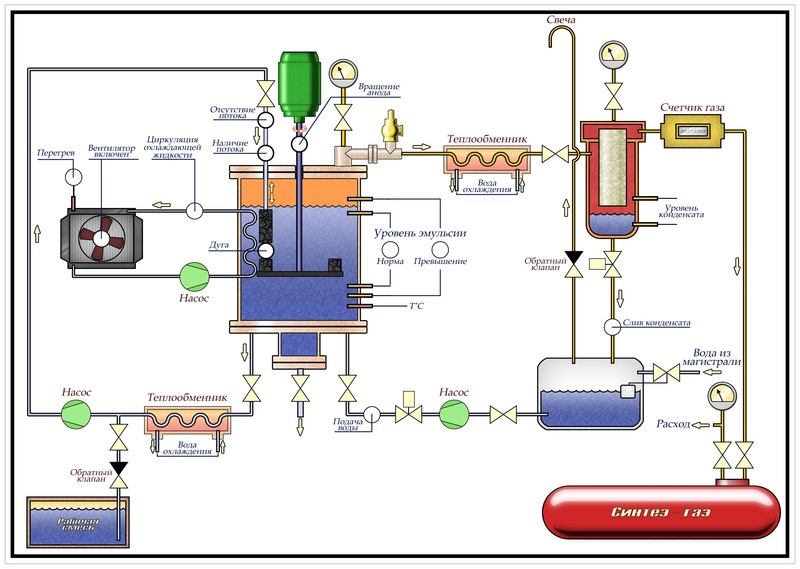 The essence of such technology of processing of the liquid waste in the form of water emulsions with organic substances consists in their plasma-arc processing in the reactor closed chamber. 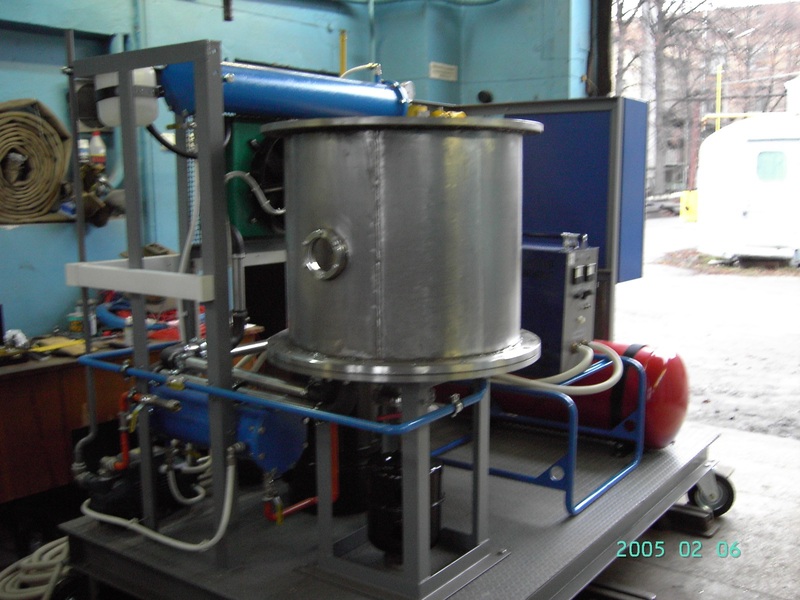 Waste is continuously pumped through the plasma flow, which burns in the emulsion volume, using circulation pump. No liquid, solid or gaseous emissions are released into the atmosphere. The processing installation does not produce any noise or odour. No chemicals are added during the unit operation, as during processing the biologically contaminated liquid wastes are fully sterilized under the impact of high temperature > 3500 C and very strong ultraviolet radiation of the plasma arc. Hydrogen Н2 (up to 40-49%) and CO up to 55-60% are the main component of generated (produced) synthesis gas. Thermal power of such synthesis gas depends on the row material, from which it is produced — the higher the effluent of sewage with hydrocarbons, the higher it is. So, from the mixture of antifreeze and organic sewage it can reach values up to 7000 — 7700 ccal/m3. Chemical analysis of the combustion products of this syngas confirmed that the last do not contain carcinogens and other toxic compounds, carbon dioxide content complies with all environmental regulations. Compared with hydrocarbons such synthetic gas burns faster, but is explosion-proof (even at pressure of 250 atm), is lighter than air and therefore disperse rapidly, has a distinct natural odor, making it easy to detect. It does not ignite on their own, and cylinders for its transportation are safer than gasoline tanks or cylinders with propane. The synthesis gas, produced using given technology, has several directions of application. · As gaseous clean fuel for internal combustion engines of cars and other vehicles. (Test results show the superiority of such gas in comparison with the gasoline and natural gas on cleanliness of exhaust. Comparative tests in different modes (acceleration, full load, and others) have shown that the power of the engine at this compressed gas is equivalent to that for the same engine operating on compressed natural gas). · For production (generation) of thermal and electric energy. · For gas cutting of metals instead of acetylene. (Cutting speed is equal and in some cases is higher compared to acetylene). · For starting and illumination of boilers with pulverized coal burners. (Increasing of heat output 30% is achieved due to more complete and rapid combustion of coal. When using low-reactive coals without any additional action the content of soot particles in the flue gas is reduced on 80 — 90%). These installations are the prototypes for creation of the industrial equipment for plasma-arc processing of water emulsions (waste) on the organic basis to produce gaseous energy carrier (synthesis-gas) or electricity and heat with consumption capacity 100 — 500 (1000) kW and higher at emulsion (waste ) processing productivity up to 90-520 (1200) liters / hour and more. Composition of the synthetic gas produced using plasma-arc installation with power consumption up to 3 kW, is shown in Table. 1. Basic operation modes of the installation as follows: arc current 80 A, arc voltage 35 V, operating environment — mixture of water with used oil in the ratio of 2/1. Obtained synthetic gas using as fuel provides stable operation of the power plant Genpower generator GSM800 power capacity 6 kW over the entire range of its operating parameters. Consequently, the energy produced using the above process, exceeds the energy costs for the processing of liquid waste. Consequently, this technology should be considered not only for environmentally friendly processing, but also for production of alternative energy sources, including electricity and heat. This technology is promising for utilization of industrial and household waste with production of new gaseous fuel. 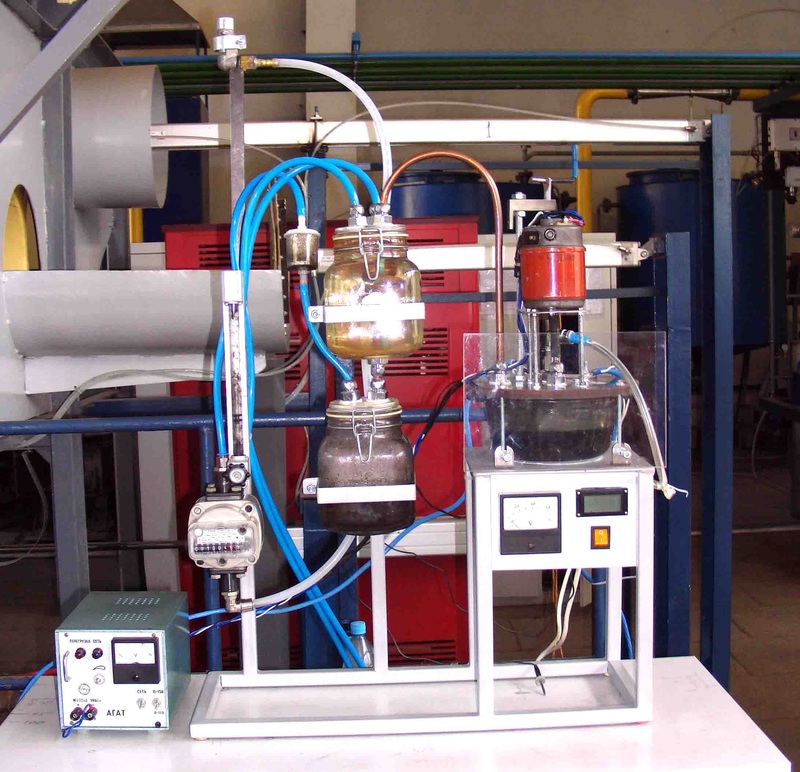 Described plasma arc installation for processing of liquid waste, allows purification of the liquid waste with simultaneous production of syngas. The oil-based liquid waste (all types of used oils, antifreeze, solvents, liquid oil sludge, other liquid organic by- products of petrochemical industry), vegetable oils waste and various fat emulsions, waste of milk processing, waste of meat processing plants and waste water of sugar factories, liquid waste of cattle complex highly contaminated sewage of municipal sewage lines, contaminated water near landfills, etc. are used. Waste on the oil base are used in the given installation, in the ratio of one volume of waste to the two volumes of waste on the water base.